Cambridge Audio's constant quest to bring the very best sound and connectivity to wireless speakers has stepped up a notch through an update to its Minx Air range. Unveiled earlier this week, the Air 100 V2 and Air 200 V2 are the second incarnation of the company's popular range and come packed with improved sound plus various other new features. In the sound department, both models get Cambridge's fourth-gen BMR drivers that deliver superior rhythm and sound. They are also the same drivers that are found in Cambridge's top of the range £1,000 Aeromax 6 floor standing speaker. 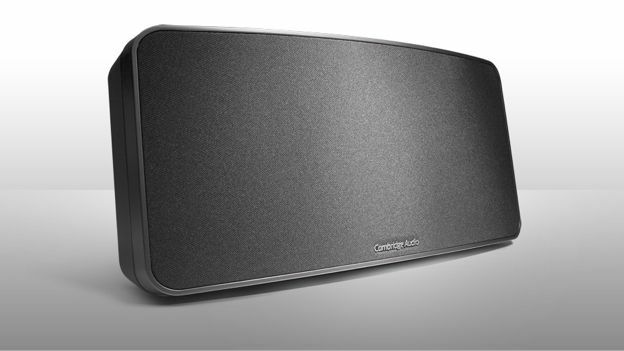 Neither speaker is found wanting in the connectivity stakes thanks to built-in Spotify Connect, Apple Airplay, Apt-X Bluetooth and users can connect easily to Internet Radio services by combining an iOS or Android smartphone with the free Air App. Also included within the app is volume adjustment, bass control and the speaker's EQ settings thus meaning that the speakers are fit for any room. They also both have 3.5mm AUX and RCA inputs on the back to enable backwards compatibility. Where the two speakers differ is power and design. The smaller Air 100 V2 uses two 4-inch BMR drivers and 100W amplification whereas the Air 200 V2 houses a pair of 2.25-inch BMR drivers, a 6.5-inch subwoofer and 200W amplification. Both speakers come in white and black colour-ways and are out now with prices coming in at £299.95 for the Air 100 and £399.95 for the Air 200.